Need ideas on what to do and where to go during the Children’s Day 2018 weekend? We’ve got you covered with a host of fun activities and happenings around town from 5-7 October. With Children’s Day 2018 falling on a Friday, 5 October, the kids get to relax all the way till Sunday. It’s time to start planning how you’re going to keep them occupied. Even better, why not take a day off work in their honour? 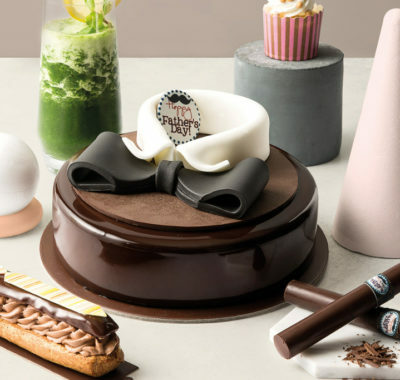 Spend the long weekend with the little beings you’re working so hard for in the first place. 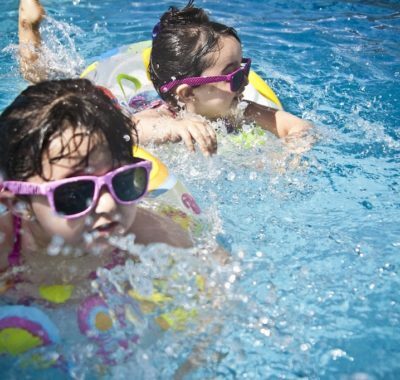 You and your kids deserve to share a special break…just because! Have a Twitty Children’s Day! 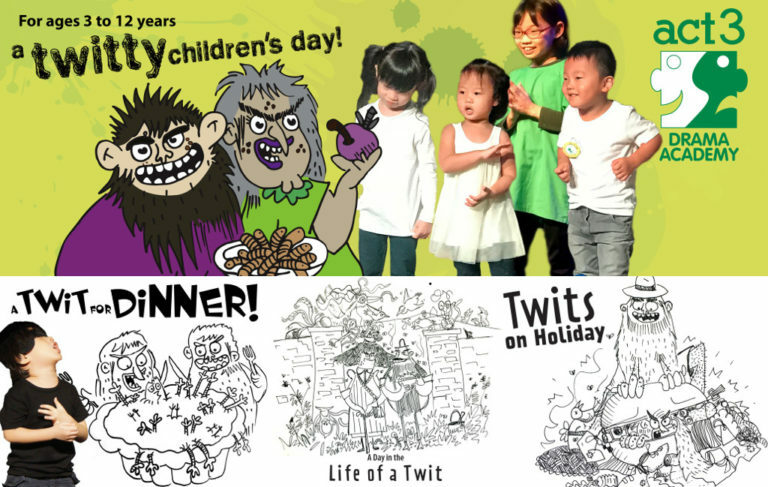 ACT 3 Drama Academy is bringing The Twits!, Roald Dahl’s most beloved – and disgusting! – story to life. Each two-hour workshop will see experienced drama educators engaging the kids in role-playing, physical exploration, and movement and music. 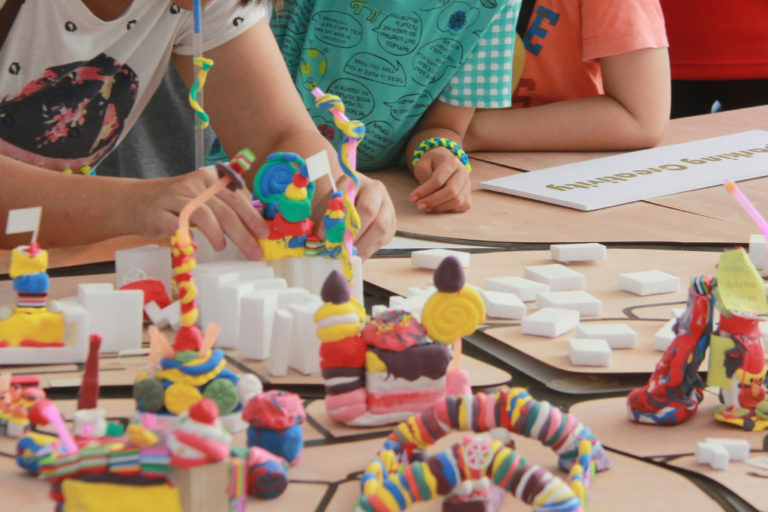 There are three different, but all action-packed workshops designed specifically for children aged 3-4 years, 5-7 years and 8-12 years. Book your spot online, or call 6735 9986 or email act3int@act3international.com.sg for more details. 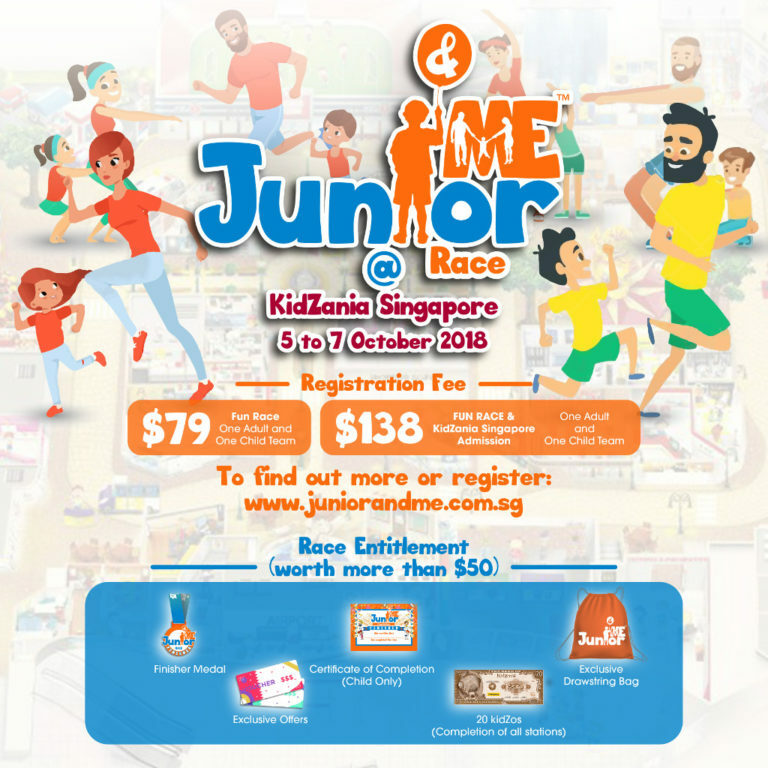 For a fun and active way to bond with your child, take part in the Junior & Me Fun Race. Each team comprises a parent (or adult) and a child as young as 18 months up to six years. Together, you’ll go through the non-competitive race, tackling six obstacle stations along the way. You’ll also receive a goodie bag including a finisher medal. Limited to 150 teams per day, you can choose to start at 9am, 9.30am, 10am and 10.30am. Register for your slot online and prepare to have a memorable day! Burst with excitement at Octoburst! The 16th edition of this three-day celebration of children focuses on friendship, family and the importance of being inclusive. Children are invited to take part in over 120 ticketed and non-ticketed interactive performances, hands-on activities, workshops and more. 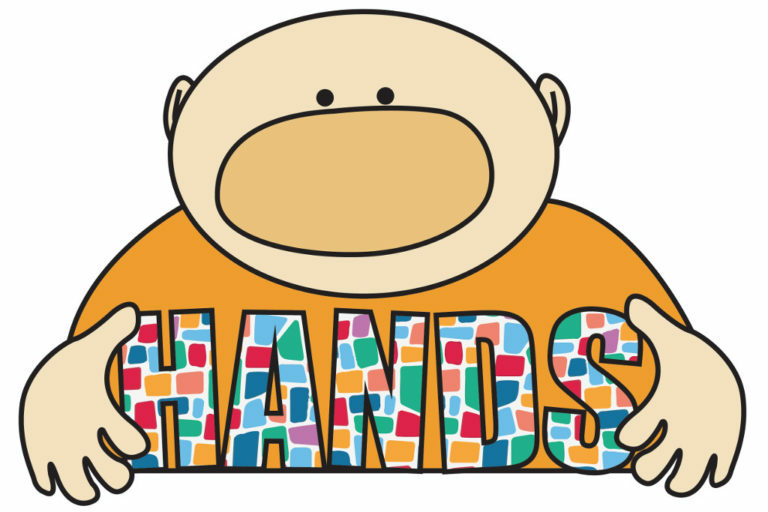 And don’t miss the H A N D S Festival Parade – dress in blue or white and join in a puppetry, music, performance in this inaugural children’s parade down the Esplanade Waterfront! Is your kid a Hi-5 fan? Then head to Downtown East this Children’s Day weekend. 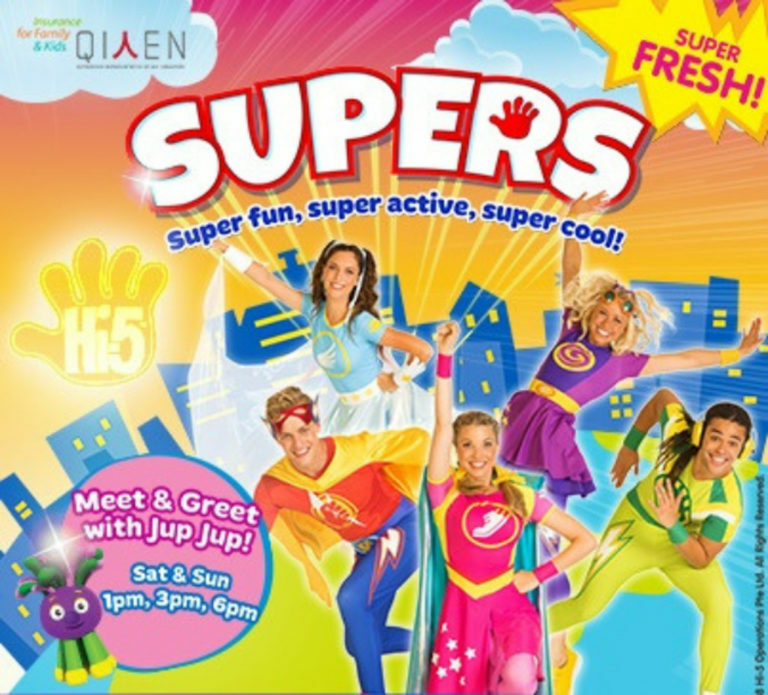 Enjoy the music, dance, free activities and games going on, and get to meet the adorable Hi-5 mascot, Jup Jup! The first 50 kids will even get to take part in an exclusive meet-and-greet session with Jup Jup each day. It’s sure to be loads of fun for the little ones! While you’re at the ArtScience Museum, why not drop by the refreshed FUTURE WORLD: Where Art Meets Science exhibition? It’s seen a major transformation, including a series of new highlights the kids will love. 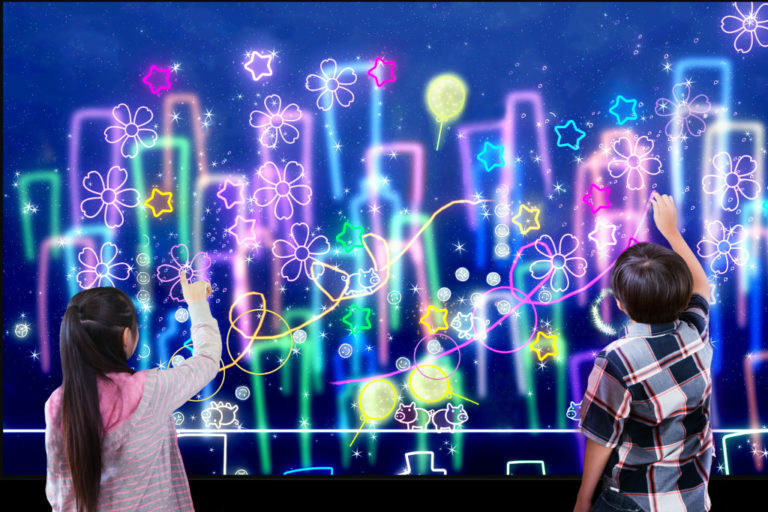 They can compose their own musical masterpiece in Town, add their sketches of people and animals to a virtual world in Park, be enthralled by a six-metre-high digital waterfall cascading around them in Nature’s new Transcending Boundaries…and many more! October’s Straits Family Sunday at the Peranakan Museum is themed “Mari Dondang Sayang”. If you don’t know what that means, then it’s your perfect excuse to head there and find out! You’ll not just go on a musical tour in the galleries and discover the Peranakan love for music. You’ll even get to make your own musical instrument, play dress up and form a family Peranakan band! How about a day out at the Singapore Botanic Gardens? Start off with weekend brunch at Botanico, where kids 10 years and under dine free! 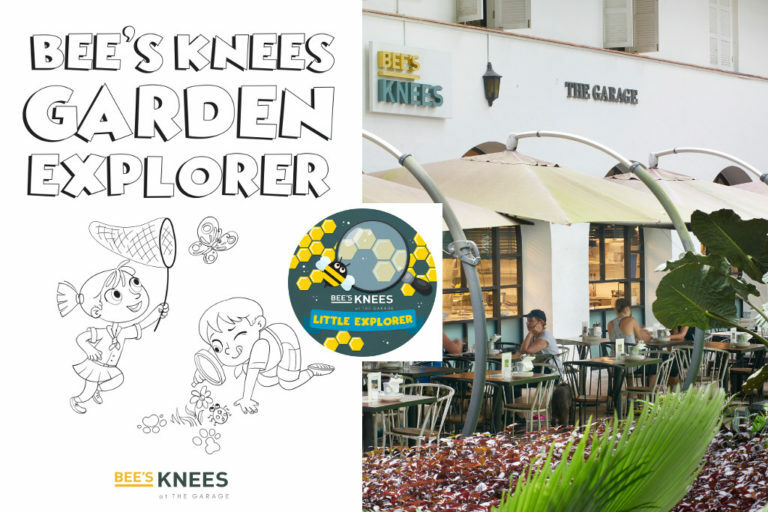 Afterwards, head downstairs to Bee’s Knees and pick up The Bee’s Knees Garden Explorer worksheet. While the adults relax over an ice-cold bottle of mead, the kids can explore the garden spaces around The Garage to find the answers. Kids who correctly complete the worksheet receive a special badge and enjoy a complimentary milkshake of their choice! 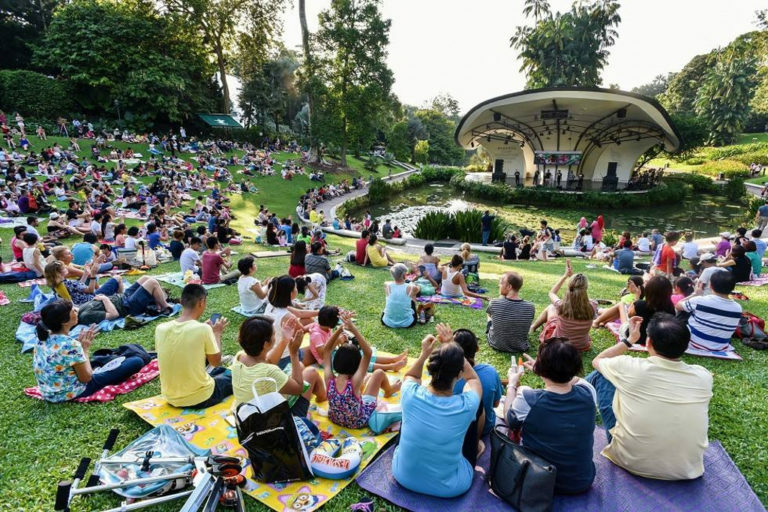 Then join the MacPherson Philharmonic Orchestra at the Singapore Botanic Gardens on Sunday evening for a relaxing evening of music. 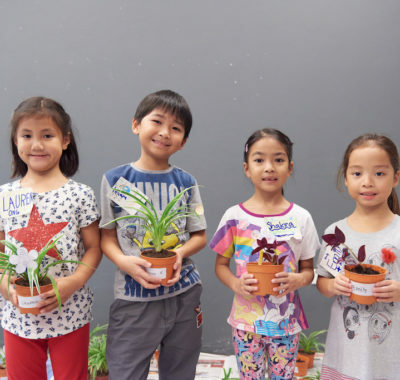 While the adults may recognise classics from Teresa Teng and local favourites such as Bunga Sayang, the kids will surely love familiar Disney theme songs from the likes of Frozen and Moana. You can even register for free music workshops at 5.15pm and 5.45pm before the concert begins. Or simply pack a picnic and enjoy it on the lawn! 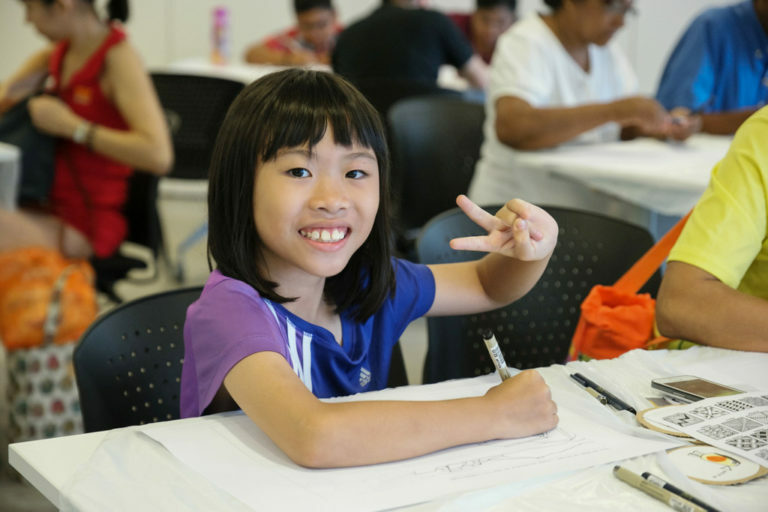 Great for budding artists aged four years and up is Family Weekend at National Gallery Singapore. This October’s Drop-in Activity lets you have fun creating a painting with short dabs and flowy lines using different materials. Then explore the Wu Guanzhong: Expressions of Pen & Palette exhibit on Level 4. There, be further inspired by how the artist does the exact same thing through his innovative works. 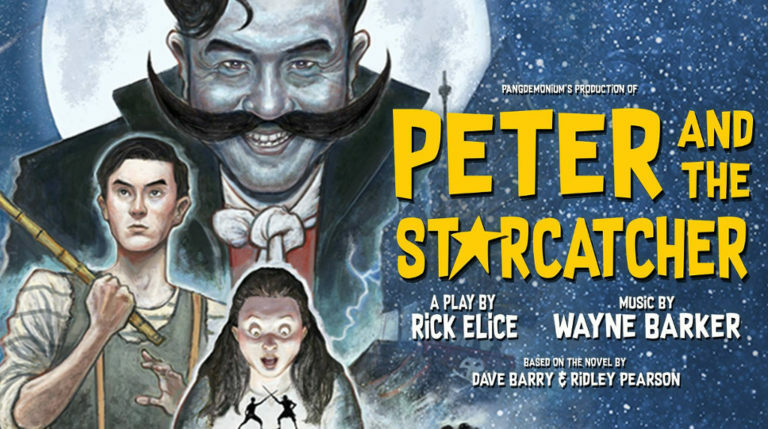 Winner of five Tony Awards, Peter and the Starcatcher is a hilarious, hair-raising, and heartwarming prequel to the Peter Pan story. Specially adapted to an Asian setting, this Pangdemonium production will certainly entertain both young and old. It features a dozen actors playing over 100 characters, including celebrated thespian Adrian Pang as Black Stache! The exhilarating magical adventure is also an inspiring statement on empowering every child with self-belief, courage and hope. 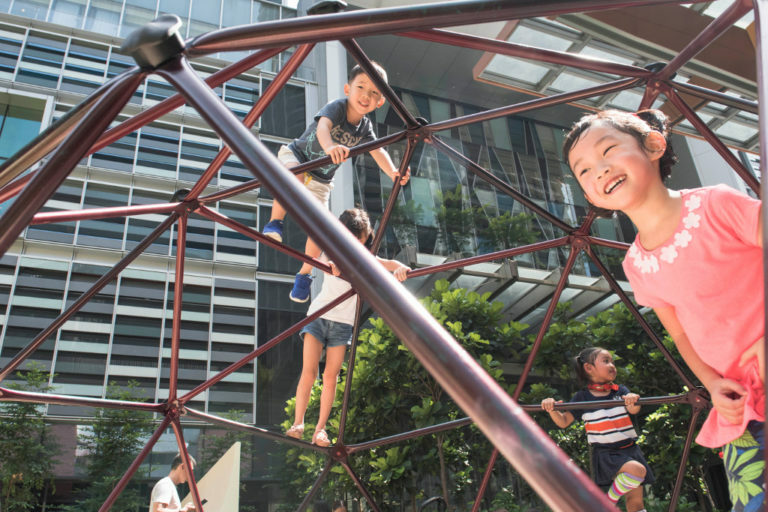 It’s an unlikely setting for a kid’s play area, but that’s exactly what you’ll find if you drop by Tanjong Pagar Centre. Partnering with The Artground (TAG), the adventurous play area emphasises spontaneous and creative self-directed play in the urban oasis. While exploring the many slopes, climbing structures and tunnels, children are esncouraged to freely discover their own forms of play. The 150,000 sq ft landscaped Urban Park also offers a green lawn, open spaces and rooftop gardens to explore.